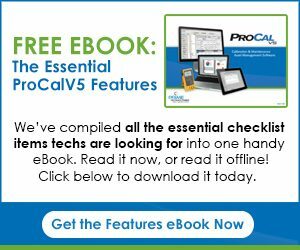 World-class, ProCalV5 solutions are backed by a comprehensive range of professional support services and programs designed to maximize your investment. Fully bundled support packages are available or individual services may be selected to complement your organizational structure, unique requirements and program objectives. From day 1 planning and implementation through validation and training, custom solutions design and documentation support, you can count on Prime Technologies for the most reliable, professional customer experience and services — designed to consistently deliver optimal results for your organization! 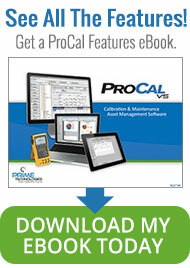 ProCalV5 Support Agreements give you access to 24 hour/ 7 day assistance whenever the need may arise. No-charge minor and major release updates ensure that your calibration procedures keep pace with standard industry practices. Prime Technologies has developed and earned the trust and reliability of its growing customer base. We believe that providing the highest quality support and maintenance to your system is invaluable. We also offer web-based and on-site training classes for ProCalV5, in addition to a complete array of professional services.